In 2015 after a series of patch testing at hospital, I received the diagnosis that I had a sensitivity to Methylisothiazolinone (MI - a preservative) and Linalool (an allergen naturally occurring in essential oils). My skincare routine with natural and organic beauty was well established at this point. Due to the beliefs behind green beauty its not often you'll find Methylisothiazolinone in natural products but I often encounter this ingredient outside of the home. MI was Named ‘Allergen of the Year’ in 2013 and has caused an epidemic of allergic disease worldwide. In February 2017, MI was banned (in the EU) in leave on products and wet wipes but it is still permitted in rinse-off products at 0.01% concentration. As some who has spent their lifetime prone to eczema, I find it interesting that MI is a powerful sensitizer to which up to 10% of people with eczema and 1.5% of the population may react. In the very first book of its kind, specialist allergy writer Alex Gazzola tells you everything you need to know about allergy to both MI and related isothiazolinone preservatives, covering testing and diagnosis, safe cosmetics, safe household products, tips on avoiding exposure, treating and managing reactions, and looking after your physical and psychological wellbeing. Aimed at both those with MI allergy and parents of affected children, Living with Methylisothiazolinone Allergy is a supportive practical guide to help manage your condition and live a full, symptom-free life. 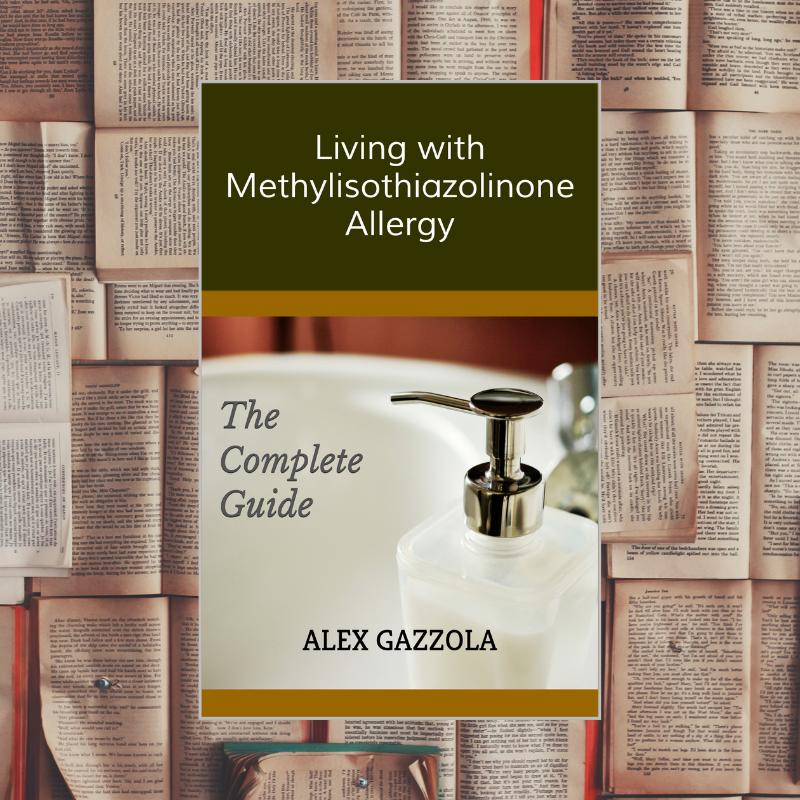 Living with Methylisothiazolinone Allergy is available in both print and Kindle format via Amazon US, UK and other international Amazon sites and distributions.